What Is a Stand Alone Calculator? The adding machine was, in many ways, a predecessor to the calculator. The earliest versions of the mechanical adding machine became available for purchase in the late 19th century, with the ten-key model (one key for each number) becoming a standard fixture by the mid 20th century. 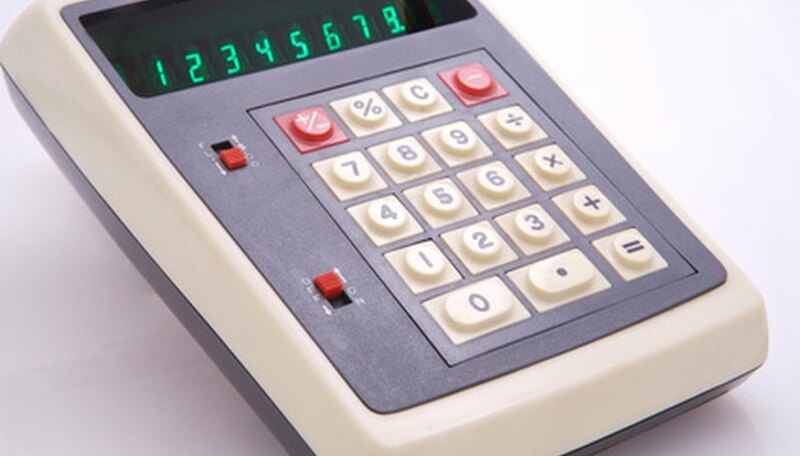 The electronic calculator eclipsed the adding machine in the 1970s, but you may still see the trusty adding machine pop up for a few business applications. They perform only basic operations like addition, subtraction and (sometimes) percentages. They can print a paper record of said operations. Instead of a decimal key, they may have a switch that sets the decimal place. They usually use postfix notation. They may have limited memory for storing results. Have a positive/negative key (although they can subtract). Perform advanced operations like square roots, exponents and logarithms. Do any type of graphing. The term postfix notation refers to the order in which you input the operators (such as addition and subtraction) and the operands (the quantity the operation is being applied to). In prefix notation, the operator comes first; in postfix notation, the operand comes first. So to add quantities on an old-fashioned adding machine, you'd first enter the quantity to be added and then press the "+" key, which would add it to whatever else was in the adding machine's memory. You could continue adding or subtracting ad infinitum. What About the Adding Calculator? One of the reasons the line between adding machine and calculators is so vague is that technology didn't make an instantaneous leap from basic adding/subtracting machines to electronic calculators capable of graphic complex calculus functions. Instead, the earliest calculators looked very much like adding machines with operations such as multiplication and division added. They still fulfilled the duties of an adding machine, though, and some were even capable of printing a paper version of their calculations (as adding machines do). These were often sold under the label "adding calculator" or "printing calculator," and a "ten-key calculator" could have been a ten-key adding machine or an actual calculator. This ambiguity in naming conventions generates a lot of confusion about what is or isn't an adding machine – although barring a fascination with vintage equipment, the "adding machines" you're most likely to encounter nowadays are actually simple printing calculators. Have you noticed how the English language flexes and adapts to common usage? That's why the term "adding machine" may still linger in some business applications, although the machines themselves have generally been consumed by computer software, calculators and printing calculators. If you're applying for any sort of data entry or computer-intensive job, you may be asked about your 10-key proficiency or speed. This has nothing to do with ten-key adding machines, although the skill could translate. Instead, you're being asked how quickly you can use a 10-key keypad to input numbers or data. (This is the numerical keypad you'll often see to the right of a standard computer keyboard, or the 10-key can come as a stand-alone external unit. Maloney, Lisa. "Difference Between Adding Machine & Calculator." Sciencing, https://sciencing.com/difference-between-adding-machine-calculator-6577047.html. 25 October 2018. How Does an Adding Machine Work?